Ever rising energy costs across all sites are increasingly a cause for concern. As they are secure sites, all personnel entering the sites must be vetted and follow strict security protocols. In addition, with no access to the secure internet network, monitoring the technologies we install remotely was technically challenging. 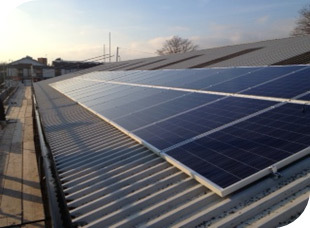 We carried out feasibility studies on a number of sites to identify those most suited to Solar PV and LED lighting. 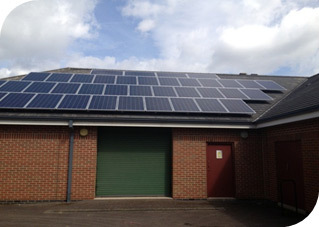 Two sites were initially chosen designed, supplied and installed a 10kW Solar PV system along with replacement LED lighting in the main hall at each of the sites. Two sites were fitted with LED lighting in the main halls and 40 x 250w solar panels (10kWp output), one mounted on a tiled roof, while another was mounted on a sheet metal roof. 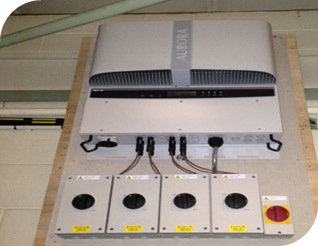 R4B also designed bespoke GSM solar PV metering systems to enable remote monitoring to ensure optimum performance. He commented - ‘Everyone involved in planning this project are really pleased with the smooth installation process and with the energy saved and generated so far. The team helped us every step of the way. I’ve already recommended them to other Estate Managers within our organisation’. For further details of this installation and other energy efficiency solutions that could benefit your business, contact us today.